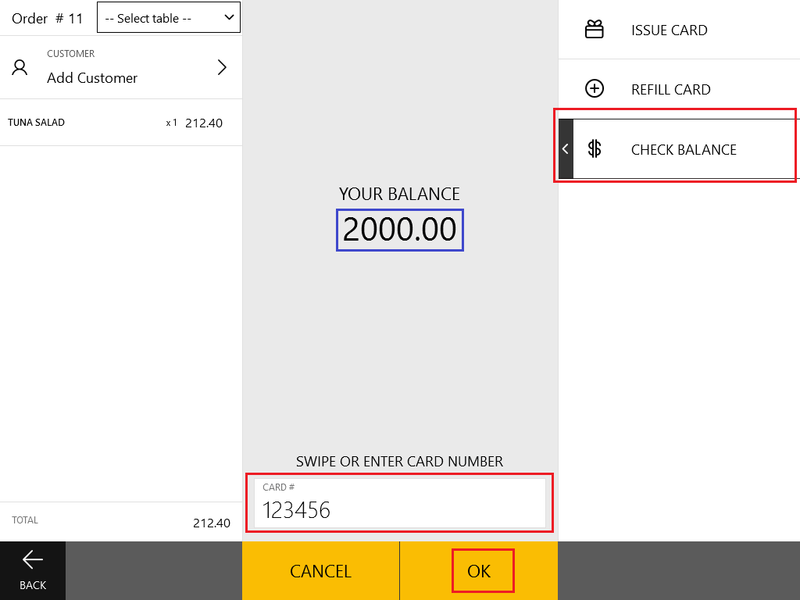 You can check the current balance on a gift card through POS Terminal application. In POS Terminal application menu, navigate to the Active Orders screen, and open the order creation screen. Swipe or enter the card number in the Card # text box, and then tap OK. The current balance on the gift card is displayed under Your Balance.